Silver penny of Edward I (AD 1272-1307), Canterbury mint, Class 10 (1301-10), North no.1038-43. 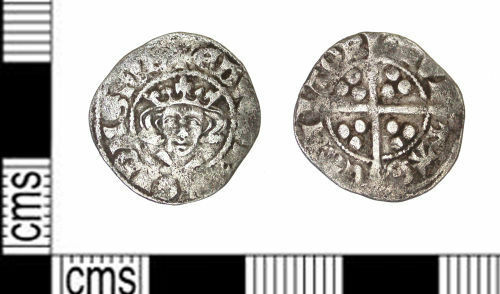 A silver Medieval penny of Edward I or II (1272-1307; 1307-1327), class 10, minted at Canterbury AD 1301-10. North 1038-43.